Lung and breathing fitness improves voice control, athletic skills, and general well being. 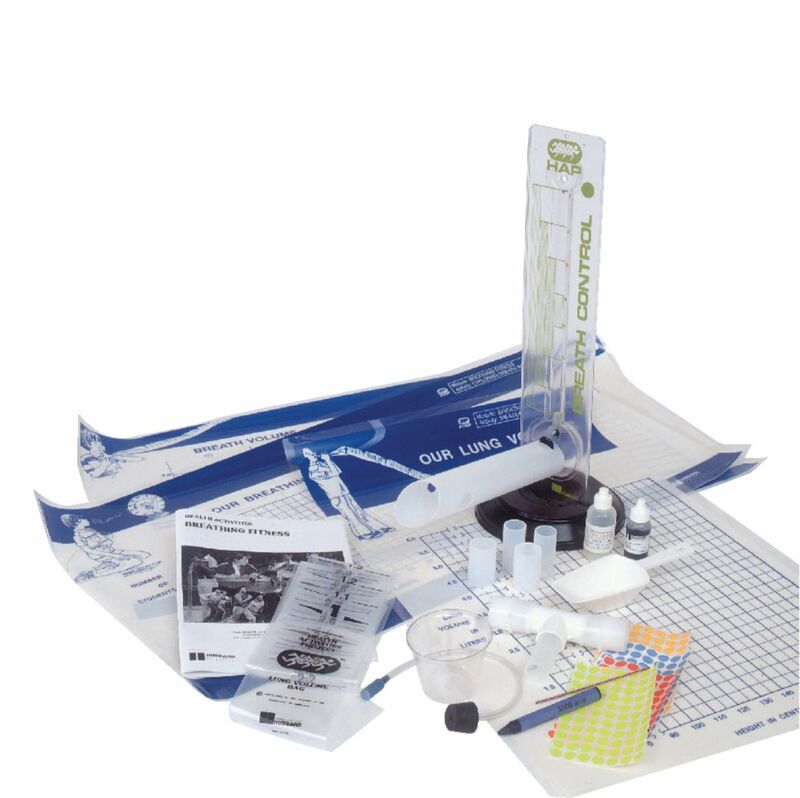 With this easy-to-use kit, your students can measure their breathing rates, breath control and recovery, lung volumes, and the carbon dioxide they exhale. Ordering information: Kit contents include: breath volume bag, three mouthpieces, a mouthpiece valve, three mouthpiece fittings, breath control device, storage box, and teacher’s guide with complete lesson plan manual.